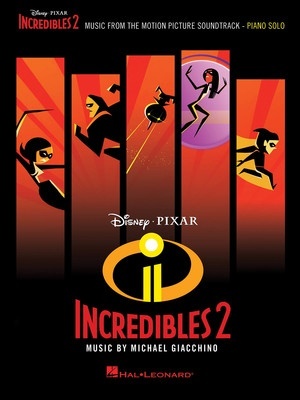 11 songs penned by Michael Giacchino for the motion picture soundtrack to this Disney sequel to the highly popular animated film, The Incredibles. Songs include: Ambassador Ambush • A Bridge Too Parr • Chill or Be Chilled (Frozone's Theme) • Consider Yourself Underminded! • Diggin' the New Digs • Elastigirl Is Back • Here Comes Elastigirl (Elastigirl's Theme) • Hero Worship • Incredits 2 • A Matter of Perception • Pow! Pow! Pow! (Mr. Incredibles Theme). Includes 8 pages of full color artwork from the film!